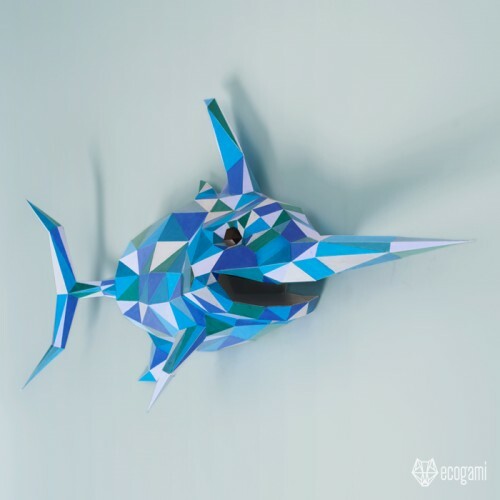 Make your own paper swordfish with our printable PDF pattern! It’s easy! Just follow the instructions & you will be proud of your 3D paper fish. Isn’t it a nice & unique wall mount decor for your home? It seems to come out of the wall, to emerge from the water. ► Difficulty Level: Medium – Some small folds in the fins and the bill but nothing undoable with patience and precision.